I totally should have done about 18 other things today that didn't come close to getting done. I did however finish prepping meals for the week that I will cook tomorrow. I also pulled out the stuff I bought yesterday to make salads too. I grabbed two types of cucumbers and some romaine lettuce to go along with my carrots, spinach, and iceberg lettuce. I had enough leftover after making my five salads and three extra ones for mom to enjoy a nice big salad with my freshly made pizza. I swear to heaven whole wheat crusts are amazing. The sauce was fine, a new one but nothing to write home about, but the crust and just right level of spice on the Italian sausage so damn good. I need to quit eating it but it's delicious. I have chicken and steak strips marinating in a variety of things. I'll make them both tomorrow more than likely. I'm going to start my prepoo in a bit but I also wanted to share my shopping haul with you while I keep up the procrastinating--I'm VERY good at that. 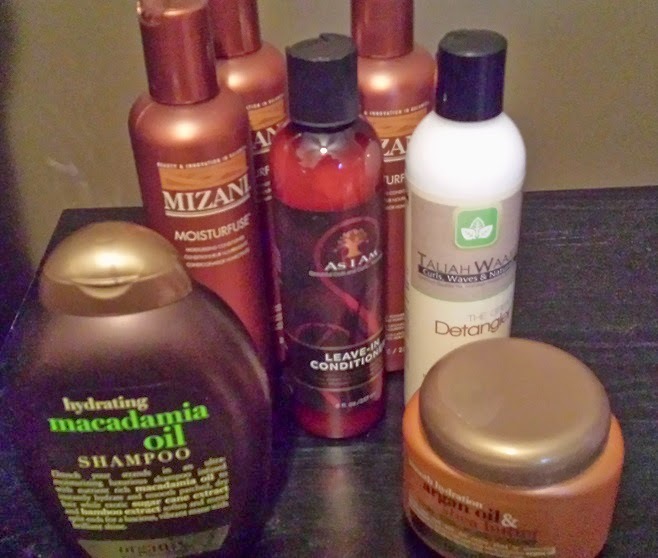 I ran to Ulta this week and they were having a buy 2 get 1 free sale on the Mizani products. I needed Moisturefuse anyway so getting a free bottle means I don't have to replenish for a while and I can maybe go a little heavier than I have been during my wash days. They also had a BOGO on the Organix products. So while I don't need more shampoo I do like being prepared so I grabbed a bottle of the Macadamia Oil shampoo and the Organix deep conditioner that I needed. 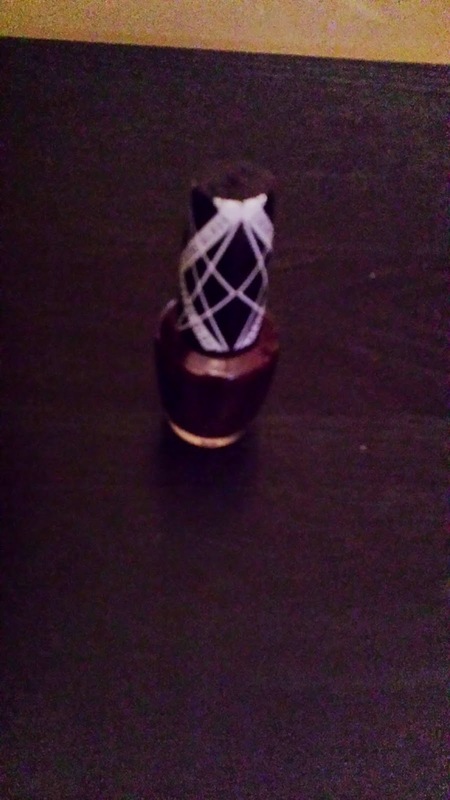 I also grabbed a nail polish while I was there and left onl spending 45 bucks thanks to the sales and a coupon. Sally's is never having a sale on what I need but I did stop there and get a bottle of both of my leave ins which awarded me a free feather that I will be giving away to someone at some point. And as I was meandering through the grocery store to kill time while my mother shopped I noticed that a different kind of daily moisturizer from As I Am was on sale so I grabbed it. I have to say that was a big step for me as I don't always think I need to moisturize between wash days as it sorta feels like cheating. I'm going to pair it with the Elasta QP Olive Oil and Mango Butter to see it I can get that under control. As you can see I have not hit the gym yet this month but I have done a few things to make sure I can get there next week--like prepping meals again. And despite that I have seriously up my green intake with the number of salads I've had in the last week. I've also been on a water kick, well Crystal Light tinted water kick. I bought two larger water bottles (32 and 34 ounces) and try to get through at least two of them before I get home from work. Days that I teach more that is easier to pull off but I'm still working on it. So far I've managed to finish three in a given day which is better than my steady V8 Fusion intake. I have also found a new veggie I like better in its fresh state, green beans. Steamed or sauteed and I'm a happy kid. Ok enough stalling. Gotta start the prepoo now or sometime before bed. I love Organix deep conditioners! I'll check to see if I have, if not I'll add one soon.